"DOWNLOAD" page at this site. 0. 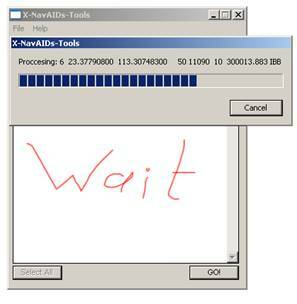 UnRAR (extract) "UUDD.rar” anyware to you hard disk. 1. Put all "UUDD .. .. ..” extracted folders from "UUDD Domodedovo by J.A.Romanov.rar” file to the "..:\X-Plane 9\Custom Scenery” folder. !!! Before you use this UUDD Scenery first time, you MUST update NAV (ILS, NDB e.t.c) data in "earth_nav.dat” file. !!! 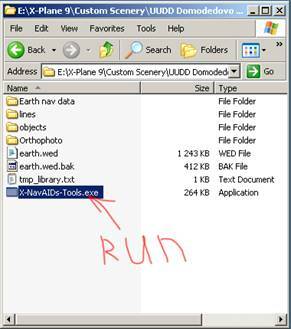 Any time, When you will update you X-Plane version from "x-plane.org”, you MUST update NAV (ILS, NDB e.t.c) data in "earth_nav.dat” file too. 2. Go to "..\X-Plane 9\Custom Scenery\UUDD Domodedovo by J.A.Romanov” folder. 5. 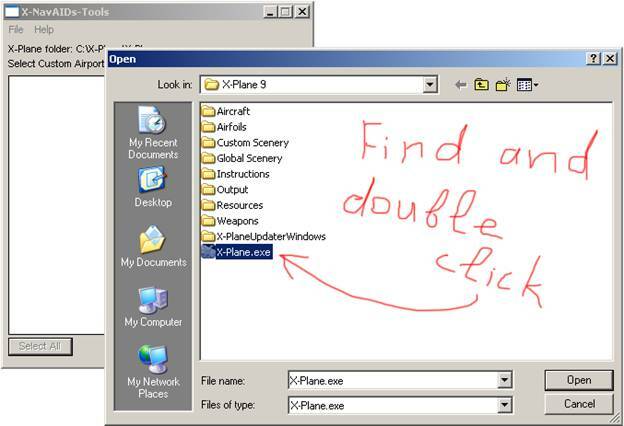 Find X-Plane.exe file in you hard disk and double click on it. 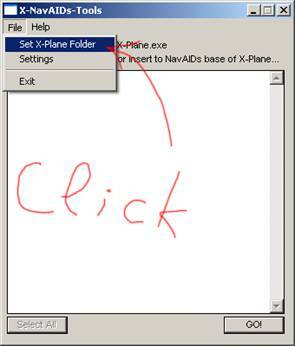 Not any data will be add to X-Plane.exe. Don’t worry! 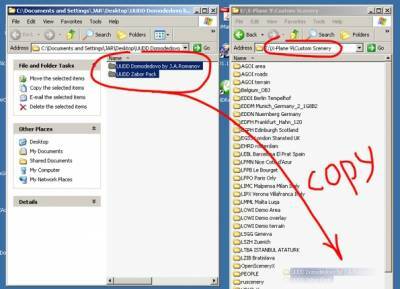 But it is only need to correct set X-Plane folder location. 6. Now you can see some Custom Scenery in X-Plane folder. 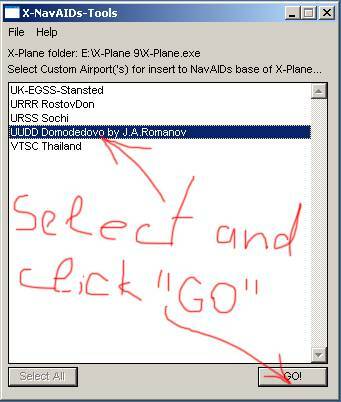 Please select "UUDD Domodedovo by J.A.Romanov” and after this click "GO” button. 8. If alerts like this will be popups, when click "Replase this String” any times, when it asked. 10. Run your X-Plane and have fun with UUDD Custom Scenery!!! The correct NAV.dat always present in X:\X-Plane 9\Custom Scenery\UUDD Domodedovo by J.A.Romanov\Earth nav data\nav.dat Please, use it for manual update. First delete all UUDD lines and second delete all Domodedovo lines at default earth_nav.dat (in X:\X-Plane 9\Resources\default data\earth_nav.dat file - lease make backup before edit) Next step - add all strings from X:\X-Plane 9\Custom Scenery\UUDD Domodedovo by J.A.Romanov\Earth nav data\nav.dat before "99" string in earth_nav.dat.